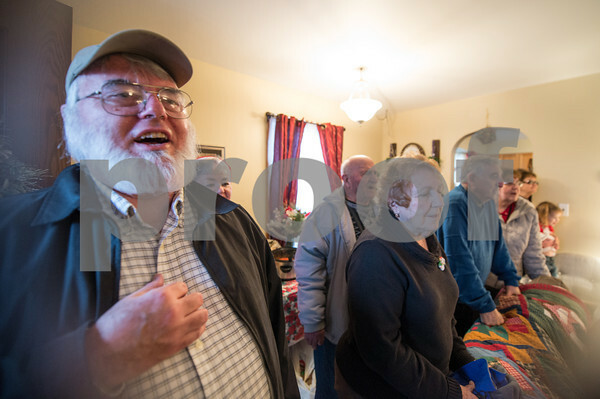 Jeff Parsons, left, and others practice singing Christmas carols at the Whynott home. Every year Bob Whynott leads a troop of carolers around Gloucester, visiting elderly housing complexes and nursing homes. The carolers meet at the Whynott house and then take a CATA trolley to the various stops before wrapping up with nibbles and cocoa back at the Whynotts.